1 x 1PC Visio 2013 Standard Digital Product License Key with installation media. 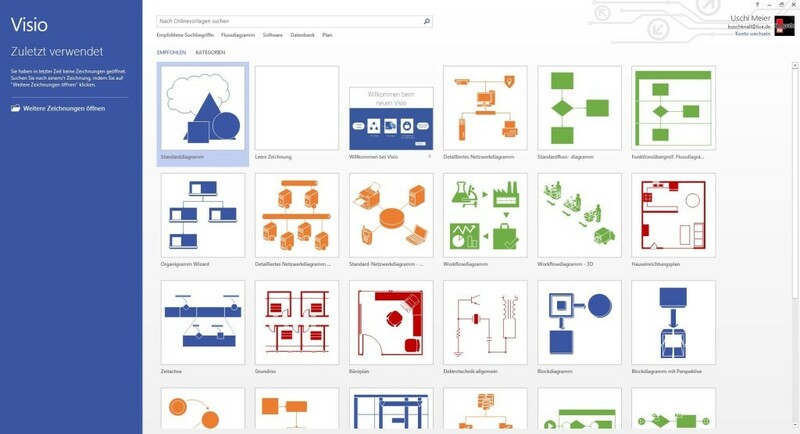 - Visio 2013 has endless Features designed to make it so much easier to create diagrams—including, but not limited to, quicker access to frequently used tools, new and updated shapes and stencils, as well as the much improved and expanded themes and effects. - Endless Options to make your diagrams much more dynamic by linking shapes to real-time data, with an expanded set of supported sources revealing increased information for end users alike . Visio 2013 is used to create and share professional, flexible diagrams which simplify complex information to its end users. It includes all of the functionality of Visio Standard as well as updated shapes, templates, styles and many more features and templates. 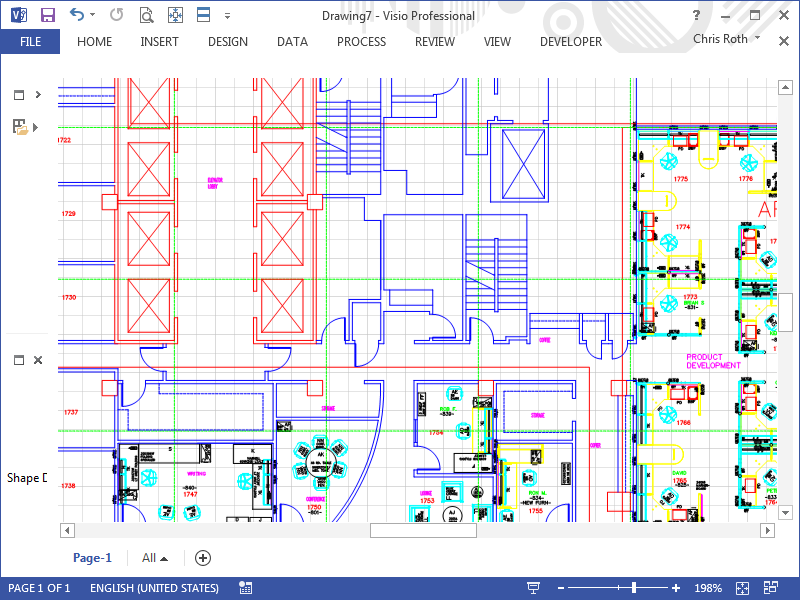 Visio Professional 2013 provides vital enhanced support needed for team collaboration- including the ability for multiple personnel to work on a single diagram simultaenously, as well as the ability to link diagrams to data providing continous real-time updates to all visual data. Visio 2013 also adds additional stencils for business/engineering diagrams, process diagrams (including but not limited to: Business Process Models/Notations, maps/floor plans, network diagrams, software/database diagrams and many more. With Visio, you can instantly capture a flowchart which you brainstormed, map an IT network, then quickly build an organizational chart, then document all business processes. Visio 2013 provides new features designed to help you create flexible diagrams more intuitively—including newly updated shapes/stencils, improved themes and effects, and a co-authoring feature designed to makes teamwork so much easier. Visio 2013 also allows you to make your diagrams more dynamic by linking shapes to it'sreal-time data and then share them with others easily. 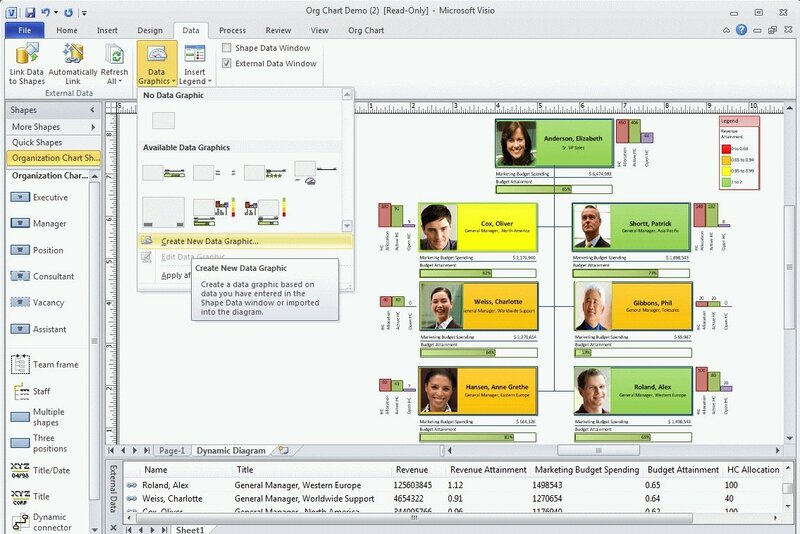 With Visio 2013 there are numerous features and new templates as well as data linkage features to assist with formatting, also found in other office applications, including gradients/3D effects, allowing visualisation of real time data by data linkage with Excel so as to view all real time data changes. 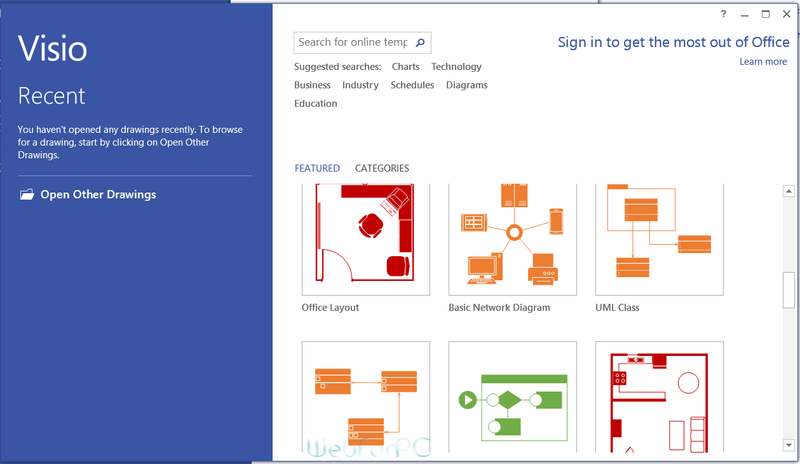 What’s new with Visio 2013? 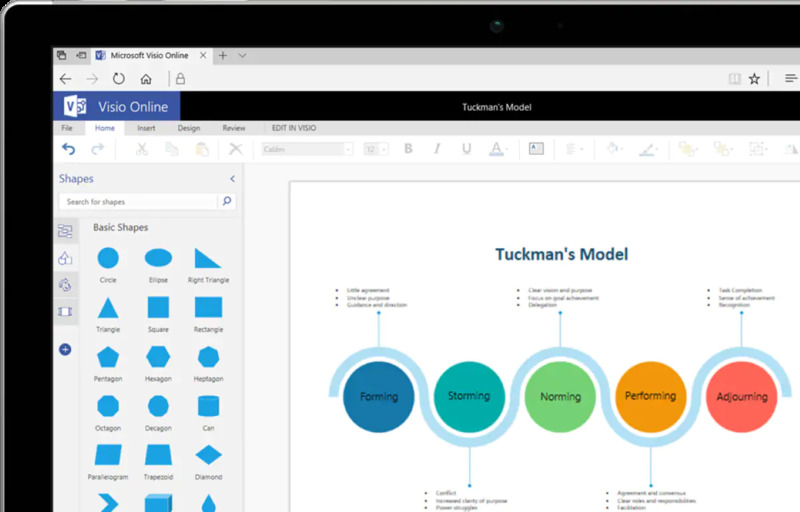 Now you can View, edit, and collaborate on Visio diagrams directly inside Microsoft Teams so as to coordinate all your files in one place. 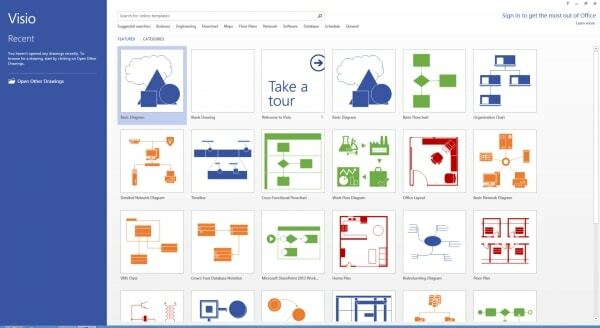 Visio 2013 is packed with enhancements to make it easier to get started, find the stencils you want to use, and quickly get great-looking results with many built-in templates; aswell as many with newly updated shapes. You can also create and customize professional-looking diagrams using a rich set of expanded and improved effects and themes that apply a completely different design outlook. Diagrams are seldom static, so Visio 2013 makes it easier than ever to modify your diagram with new shortcuts for frequently performed tasks. You can get to frequently used tools right away with a significantly improved right quick-access floating mini toolbar to easily replace any shape in diagram's whilst preserving your shape connections, metadata, and the overall layout to suit any style. 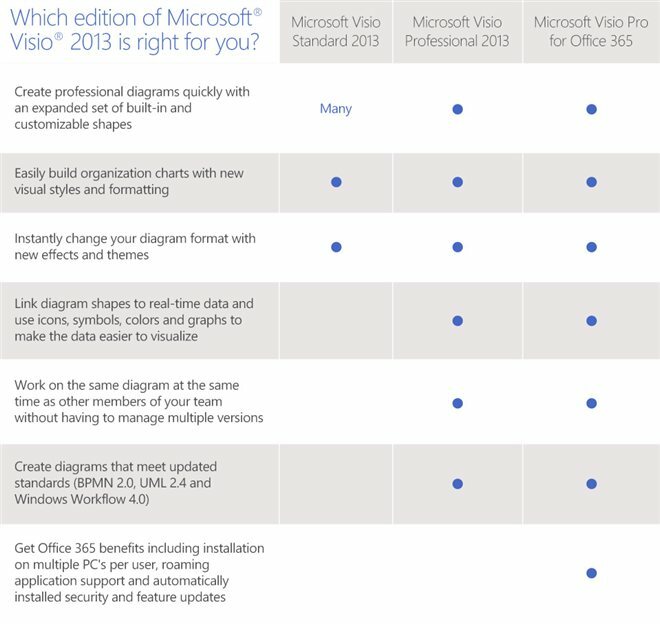 One of the most frequent templates in Visio 2013 —the organization chart—just got so much better with several new styles—whether professional to playful, which you can apply easily, allowing the ability to import pictures combined with many layout options to help fine tune the way your chart looks. By collaborating with others on a single file to reduce the risk of errors by allowing two or more people to work on the same diagram in a single file at the same time—from rearranging and adding shapes, to writing comments, to applying effects is now very possible. With just one working file, no longer do you avoid the need to email files around, trying to figure out what changes others have made and manually merging multiple versions together. It is now as easy as 1, 2, 3. The latest Visio release introduces new features designed to make it easier to capture and address reviewers' feedback on diagrams to allow clear concise information to travel in any direction. With Visio 2013, you can link the shapes in your diagram towards your business data to visually represent complex information to allow you to reveal patterns and combining meaning in your data with data graphics, vibrant icons and symbols, colors, and bar graphs. Visio simplifies how you create SharePoint workflows and Microsoft Project workflows to support demand management. Microsoft Visio 2013 is available in two editions. 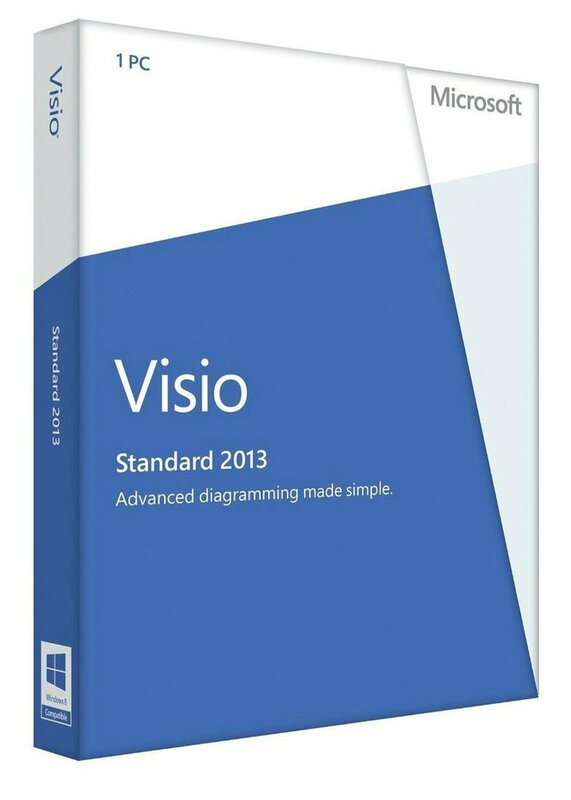 Microsoft Visio Professional 2013 and also Visio Standard 2013.